What do we know about Japanese cuisine, what information is readily available to us, what have we been exposed to in this Western environment? Well, generally speaking we know about sushi, since it started becoming popular here when the first conveyor belt-style restaurant hit London in the early 90’s. The idea of sushi went perfectly well with anyone who was on a health kick, as it featured rice, seaweed (nori) and other sea vegetables, and fish as some of its staple ingredients. It is considered to be generally healthy, and contains little to no dairy. However sushi is only one part of Japanese cuisine. 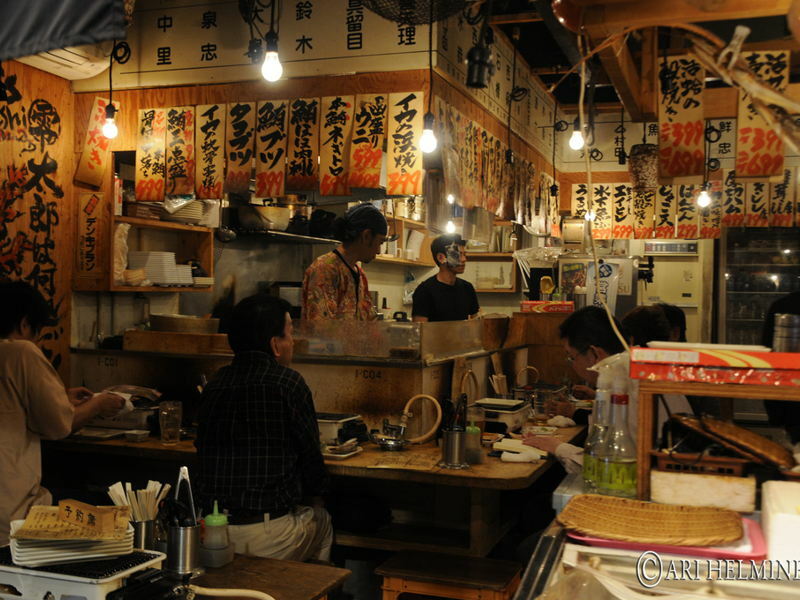 There is another aspect to the cuisine which is slowly but surely gaining momentum here in the capital city; Izakaya-style cuisine. This type of Japanese cuisine includes dishes that are more about comfort, offering up a kind of guilty pleasure food, served in pub-type snack-size portions, and included rich, moreish and savoury flavours like miso. Other types of fattier protein or offal tend to be favoured over lean fish, as is grilling, deep frying, or seared rather than serving the dish raw. Izakaya style restaurants have always been a mainstay in Japan (created long before before sushi), but much like its sushi counterpart, this combination of flavours, textures, portions and environment are now becoming popular amongst trendy new restaurants in London. Think of the menus and atmospheres in establishments like Flesh and Buns,and Kurabuta; both relatively new and very popular (not to mention delicious!). The overall theme is casual (rather than formal), indulgent (rather than health-led), often rich, bits and bobs to be shared with others and/or put together to create an entire meal. These types of dishes are also turning up in other renowned Japanese restaurants in London like Dinings and Roka, in combination with their extensive and refined sushi offerings. In Japan drinking and eating go hand in hand, and this style of Japanese cuisine goes perfectly with a nice cold beer or a cocktail. And intentionally so. Which is why School of Wok has jumped on the Izakaya train and teamed up with London’s one and only Japan Centre, to bring you a special class that focuses on this particular style of Japanese cuisine. From Seafood Okonomiyaki to Chicken Yakitori and Pork Gyoza this menu will have you leaving satisfied, especially when accompanied by a cool and refreshing Sake Mojito. Need we say more? See you on 10th June.